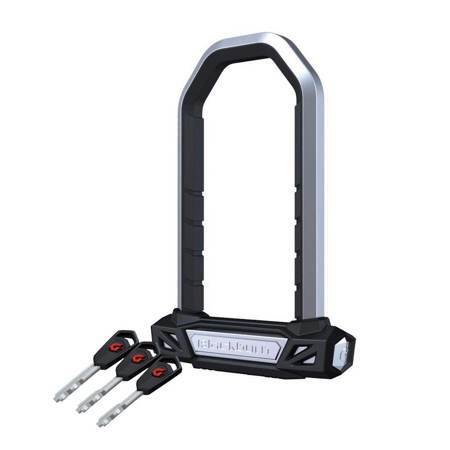 The U-lock offers superb deterence and high security for locking your bicycle. Solid materials and no moving parts outside the lock mechanism are an excellent starting point for very strong theft resistance. Police and many insurance companies suggest the use of D Shackle locks to deter thieves.